A traditional St. Croix standard in wide web shoes, the "Xtra" set the bar for protection and support. 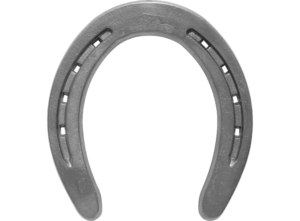 A generic pattern allows the shoe to easily shape for front or hind feet. Punched for a CH5 nail.